If your maintenance staff has work that they are unable to reach, inside or outside, A1 Orange’s team members can safety perform housekeeping and general maintenance tasks for you. If you need help up high, call to schedule A1’s trained team members. Bird Deterrent Services – Don’t let nesting birds tear up your roof or eat caulking from windows. A1 Orange installs the right deterrent to prevent or stop birds from nesting on parapets, vents, open areas and in signs. If you have a problem with birds, A1 can usually stop it. Hard-to-Reach Dusting and Spider Web Removal – In your lobby or tall interior spaces, thick layers of dust and spider webs can dull fixtures and detract from the overall well-kept appearance of the spaces. Outside, on your facade and in your garage, spider webs can collect leaves and trash, making an unwelcoming first impression to visitors and tenants. 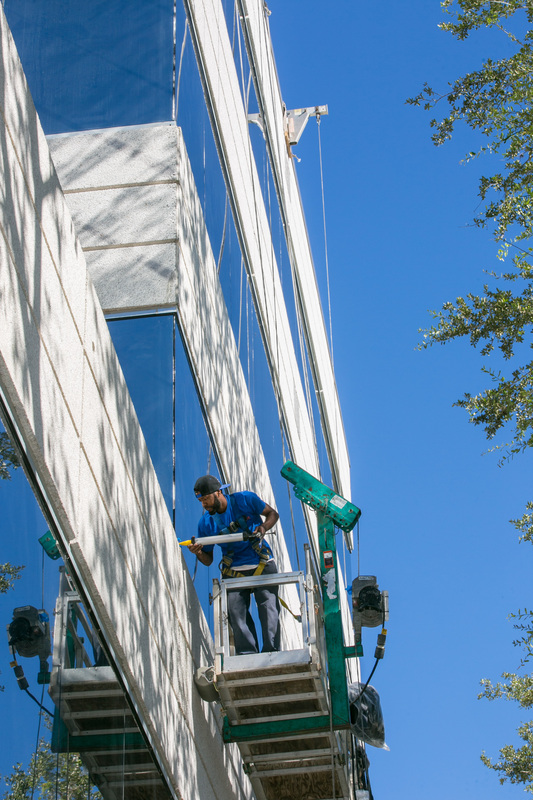 Lighting Maintenance and Marquee Bulb Changes – Let A1 Orange team members safely change out light bulbs in your building’s interior high spaces and exteriors. 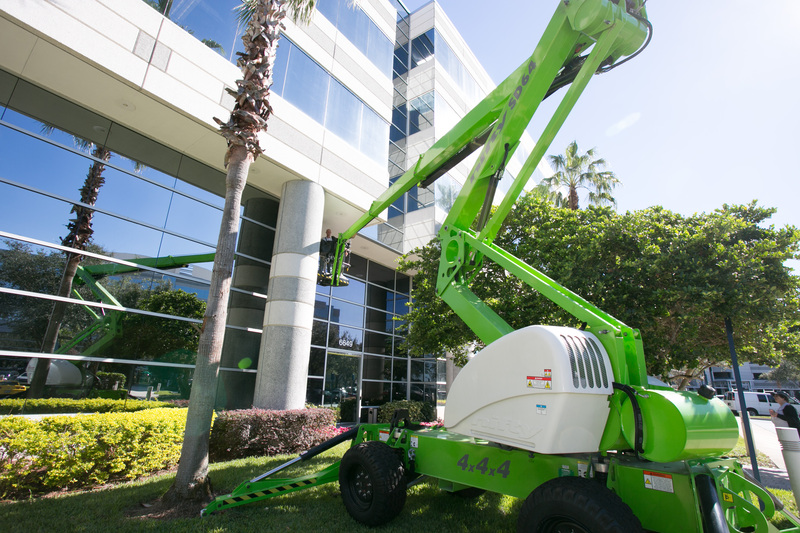 Requesting these services when A1 Orange is scheduled for other work at your property is the most cost-effective. Or you may request a separate visit for these services.